Asthma preventer or controller medications are used to control asthma and lower the risk of disease exacerbations. These are typically inhaled corticosteroids, which may be delivered with a long-acting beta-agonist (LABA) or separately. Step-wise increases in ICS dose accompanied by LABA is more likely to improve asthma control, compared to ICS alone. By definition, individuals with severe treatment refractory asthma will be on high-dose inhaled corticosteroids together with LABA. The Australian Asthma Handbook provides information on preventer use. Inhaled corticosteroids down regulate inflammatory gene expression, to reduce inflammation. A detailed summary of mechanisms of action and use in asthma is available in (Barnes 2010). People with severe asthma exhibit varying degrees of corticosteroid insensitivity. Alternative approaches may be required to reduce inflammation and/or improve corticosteroid responsiveness. Maintenance low dose oral corticosteroids (OCS) may be required to minimise inflammation. However, there is limited evidence on when to start OCS, and whether long-term maintenance OCS provides benefit compared to the use of intermittent OCS only following disease exacerbation. Further, OCS use is associated with an increased risk of side-effects, including weight gain, insomnia, mental health problems, osteoporosis and cataracts. For more information see Extra-Pulmonary Comorbidities – Osteoporosis. It is important to explain to the patient that preventers should be taken regularly, as prescribed, regardless of whether symptoms occur. Regular use is required to reduce the risk of disease exacerbation. 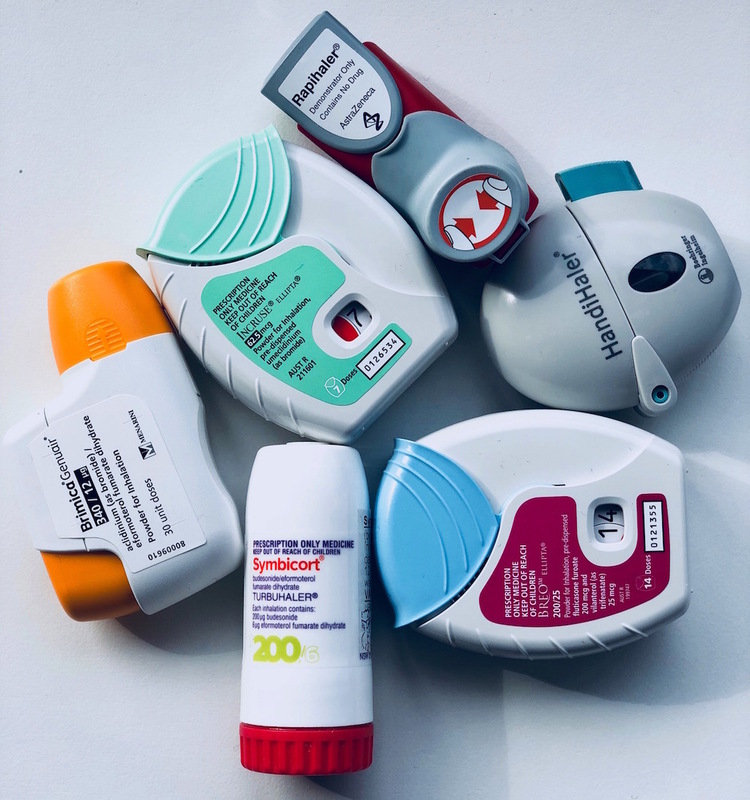 For more information see Adherence & Inhaler technique.